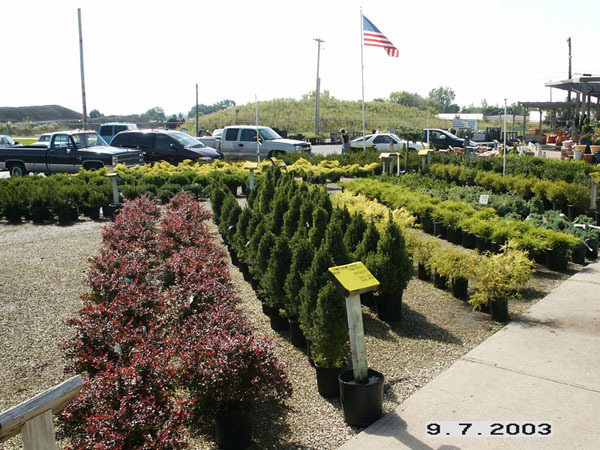 Including Norway Spruce, White Spruce, Dwarf Alberta Spruce, Serbian Spruce, Colorado Spruce, Mugho Pine, Different varieties of Yews, Dark Green American Arborvitae, Emerald Green Arborvitae and Canadian Hemlock, Pom Pom Pine, Boxwood, Holly, Dwarf Globe Blue Spruce, Rug Junipers plus Upright Junipers, White Pine, Austrian Pine, Scotch Pine. 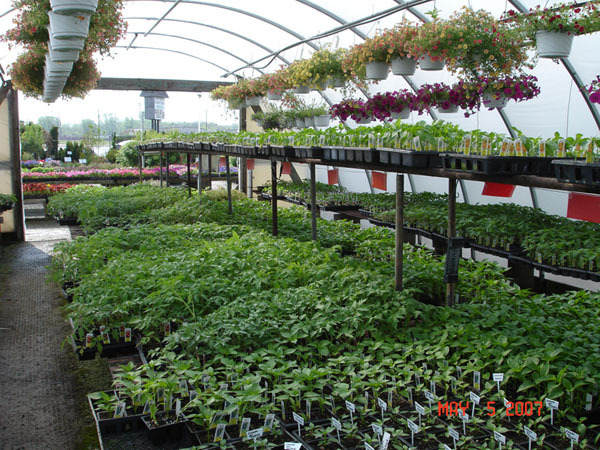 “HomeGrown” Tomatoes, Peppers, Cabbage, Broccoli, Cauliflower, Onions, Rhurbarb – all grown by Rick and Pete in our Center! 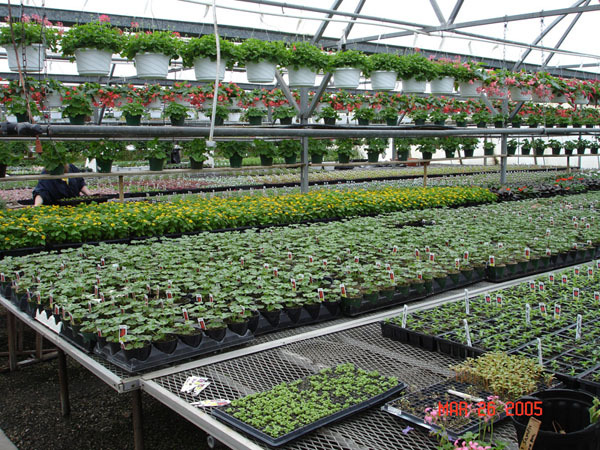 “HomeGrown” Hanging Baskets containing Ivy Geraniums, Fuchsia, Streptocarpellia, Evolulas, Calibrachoa, Wave Petunias and all types of Begonias – as well numerous Annuals in flats. 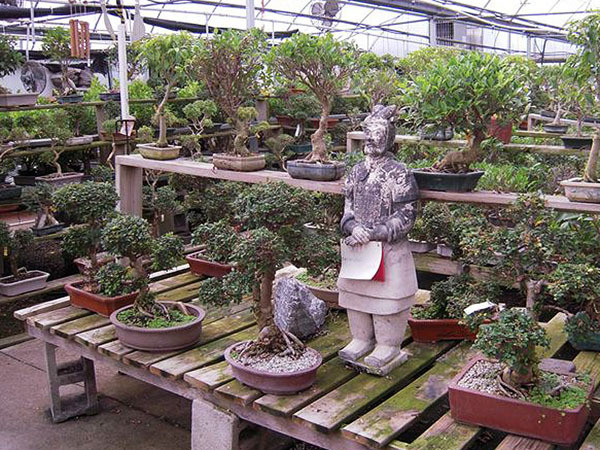 Possibly one of the best collections of Bonsai in the Ohio Tri-State area – from young Bonsai starters to mature 80 year old trees… and all selling at great sale prices – remember to check our coupons for additional savings! 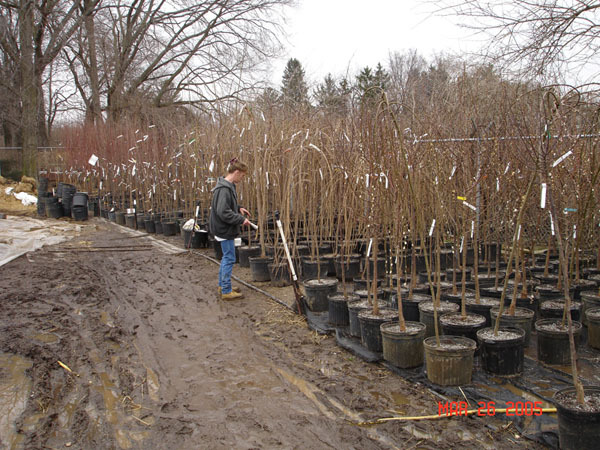 Bulk Hardwood Mulch (we can load into your open pickup truck or trailer) – double processed and triple processed; Bags of Hardwood Mulch(we can load into trucks, cars or vans) including Cypress, Cedar Mulch, Dyed Black and Red Mulches (2cu. and 3cu sizes available). 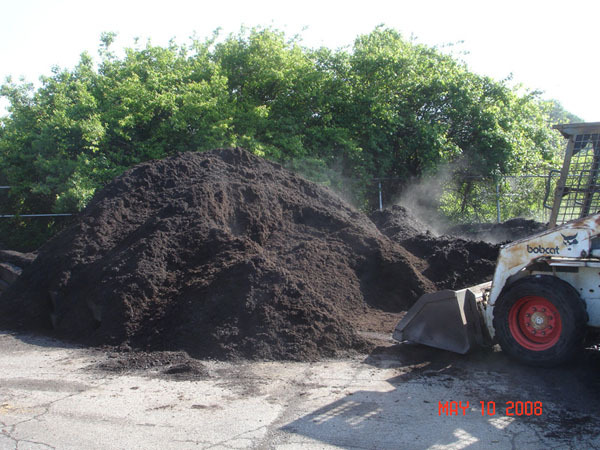 Cow manure, compost, peatmoss, organic peat, top soil, sand, earthworm castings, pro-mix professional potting soil, Miracle Grow Potting Soil and Miracle Grow Garden Soil as well as lime, gypsum, perlite, vermiculite – all in bags to be loaded into your car, truck or van! 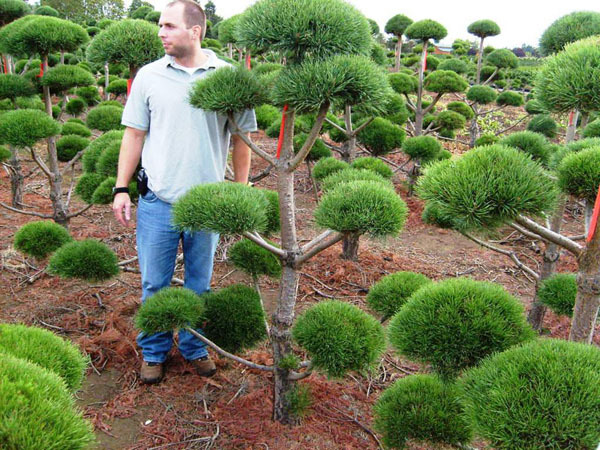 Grass seed – all types including our own “Green Mat Grass Seed“. 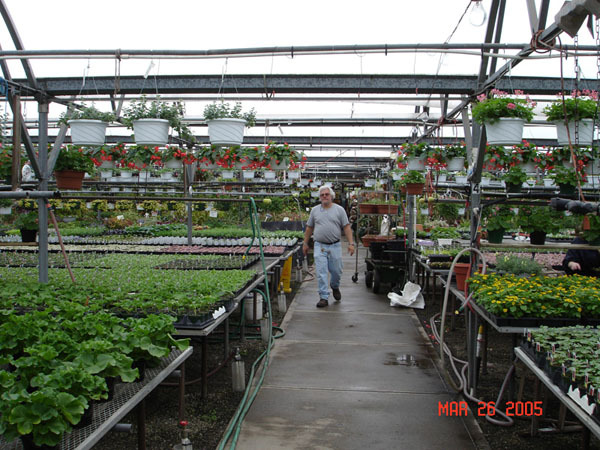 Scotts fertilizer products, feeds, weedkillers, fungicides, and the knowledge to teach you about their use.